Ransom is an American 60 minute scripted crime television series, which kicked off on January 1, 2017, on CBS and is broadcast every Saturday at 20:00. The show is currently in its 3th season. CBS has officially confirmed the renewal of Ransom for Season 4. The exact release date is yet to be announced so far. Sign up to track it down. Ransom follows Eric Beaumont, a highly specialized negotiator who is parachuted into crisis situations to defuse them before they spin out of control. Eric is so brilliantly effective, it's hard to know when he's working someone or dealing straight, which is part of his charm -- he knows how to get what he wants and rarely loses. He travels the globe with his team which includes a new recruit, Maxine Carlson, a young woman eager to learn from one of the best negotiators, but who may have her own personal agenda. Together they negotiate the most difficult, high stakes kidnap and ransom cases, though his missions are complicated by the fact that many countries have outlawed private negotiation. As a result, Eric and his team are often in as much danger from the authorities as the criminals they face. 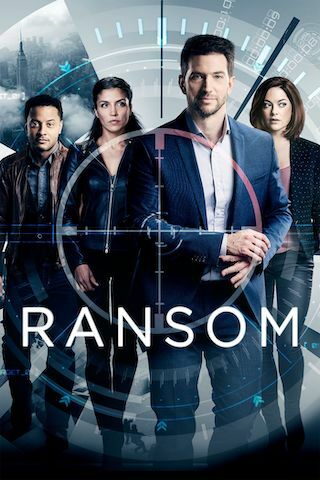 Season 3 of Ransom follows the world of international crisis and hostage negotiating with Eric Beaumont (Roberts) and his elite team as they save lives when no one else can. Eric understands criminals better than they understand themselves and uses his insight into human behaviour to resolve the most difficult kidnap and ransom cases. The FBI brings in the Crisis Resolution team to negotiate with a formidable sociopath who is targeting diabetics with tainted insulin. When a disgraced negotiator impersonates Eric, the Crisis Resolution team races to recover a kidnapped hotel owner, Jonah Preston, the ransom money, and Eric's tarnished reputation. When a baby is stolen from his crib by a notorious serial kidnapper, the Crisis Resolution team must find out why the baby was targeted and locate him before he is taken out of the country.